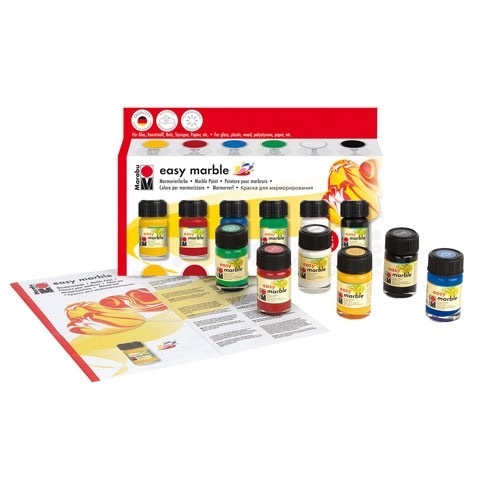 The Easy Marble Starter Set offers six quick-drying basic colors in 15ml jars and instructions for the marble effect technique. Drip, dip, done! Ideal for creating immersion marble effects on plastic, glass, acrylic plastic, wood, papier mache, blown eggs, metal, polystyrene and for marble effects on paper. The colors in this set are medium yellow, ruby red, azure blue, rich green, white and black.